Kudos to the Lynchburg Fire Department! Captain Ron Sanders recently lost his incredible Belgian Malinois search and rescue dog, Ondo. 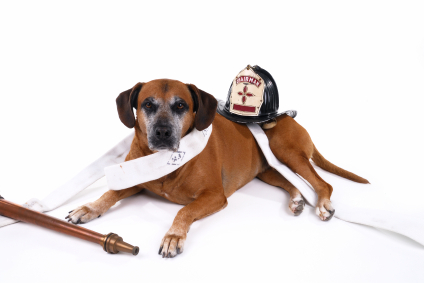 At 13 years old, Ondo had actually re-certified as a search and rescue dog, and was the only dog during the recertification test to find all six victims! He was a fantastic dog that needed to be recognized. In memory of Ondo, the fire department raised donations for pet oxygen masks to install in Lynchburg’s fire trucks and rescue units. Just like Ondo’s tireless work in saving human lives during disasters such as Hurricane Katrina, these masks will aid in saving the lives of pets. What a great way to honor a fantastic dog! Special recognition goes to everyone who donated, along with Dr. Amy Touton of Lake Forest Animal Hospital, who helped to get the proper masks to fit pets, SurgiVet who provided the masks at a discounted price and shipped them for free, and Virginia-based High Peak Sportswear, who provided discounted bags to carry the masks with free printing “In Memory of Ondo” and instructions on oxygen saturation levels based on the size of the pet. How wonderful to see so many folks chipping in to recognize Ondo’s years of service! For more information on this story, check out this New Era Progress article, Pet Oxygen Masks Distributed This Week, on www.neweraprogress.com. Categories: Animal Hospitals and Veterinarians, Media, Pet Owners, Pounds, Animal Control Officers and Law Enforcement, Vendors | Tags: just for fun, kudos | Permalink. So What Are My Responsibilities As A Pet Owner? 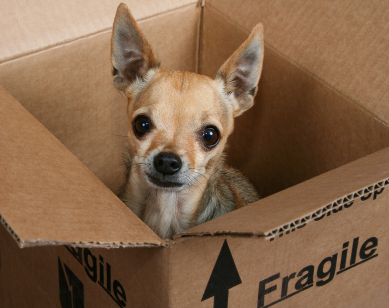 Although the law technically treats pets as personal property, the law still imposes specific duties on pet owners. The basic duties of Virginia pet owners are spelled out in Section 3.2-6503 of Virginia’s Comprehensive Animal Care Act. Before you can jump to asking what an owner’s duties are, you have to answer: Who is considered to be an “owner”? “Owner” is specifically defined in Section 3.2-6500 as: “any person who: (i) has a right of property in an animal; (ii) keeps or harbors an animal; (iii) has an animal in his care; or (iv) acts as a custodian of an animal.” But Section 3.2-6503 (A) by its own terms applies to pounds, shelters, rescues, foster homes, dealers, pet shots, exhibitors, kennels, groomers, and boarders – i.e., just about anyone who ends up interacting with and caring for a pet for any length of time. The next thing to ask is: What is a pet or “companion animal”? Again, Section 3.2-6500 has an explicit statutory definition. Included in the definition: domestic and feral dogs and cats, nonhuman primates, guinea pigs, hamsters, rabbits (that are not raised for food), exotic or native animals, reptiles, exotic or native birds, any feral animal or any animal under a person’s care, custody or ownership (think twice before you take in that squirrel or raccoon), and any animal that is bought, sold, traded, or bartered by any person. Excluded: agricultural animals, game species, and (conveniently) animals regulated under federal law as research animals. So what are the duties of a companion animal’s owner? Virginia Code Section 3.2-6503 lists seven separate duties. Each owner must provide each companion animal with adequate: (1) feed; (2) water; (3) shelter; (4) space; (5) exercise; (6) care, treatment and transportation; and (7) veterinary care. Again, Section 3.2-6500 gives elaborate definitions for each of these requirements. Most of the definitions are just verbose elaborations of what you would think your duty as a pet owner would be – for instance, to provide clean, fresh water in a clean, sturdy bowl. One notable exception is an explicit requirement found in the definition of “adequate space” that prohibits tethers that are less than three times the length of the animal, as measured from the tip of its nose to the base of its tail. Some jurisdictions have decided to expand on these duties. For instance, the City of Alexandria recently passed a dog tethering ordinance that prohibits a dog from being tethered for longer than three hours a day, or longer than a twelve hours a day if on an acceptable running cable line or trolley system. As another example, Sections 2-14 and 25 of the Arlington County Code have specific shelter requirements for all animals, not just companion animals, which include providing clean and appropriate bedding, confining animals sufficiently to prevent escape, and taking precautions to ensure animals are not teased, abused or mistreated. So what if someone doesn’t fulfill these duties? 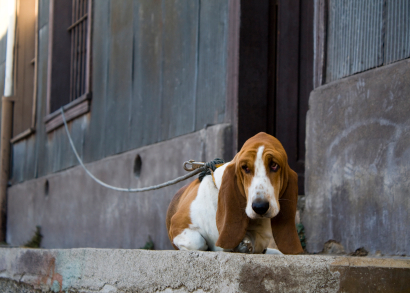 The good news is that Virginia just got a bit tougher about enforcing a pet owner’s responsibilities. A violation of any of these duties is and has been punishable as a Class 4 misdemeanor, carrying a fine of up to $250. But, as of July 1, 2010, a second or subsequent conviction is punished more harshly. For lack of adequate space, exercise, or care/transportation/treatment, a second or subsequent conviction is a Class 3 misdemeanor, carrying a fine of up to $500. For lack of adequate food, water, shelter or vet care, a second or subsequent offense is a Class 2 misdemeanor, which can carry jail time for up to six months, along with a maximum fine of $1,000. Remember that these are the basic duties. Don’t forget the other responsibilities to neuter and spay pets, keep up with vaccinations, registrations and licenses, picking up after your dogs, complying with leash laws, etc. Stay posted for more on these topics! In the meantime, what do you think about the term “owner”? Is “guardian” better? Is there another word you would suggest? Categories: Animal Behaviorists and Trainers, Animal Hospitals and Veterinarians, Breeders, Dog Walkers and Pet Sitters, Doggie Daycares, Boarders and Kennels, Groomers and Dog Washes, Media, Pet Owners, Pet Stores, Bakeries and Retailers, Photographers and Portrait Artists, Pounds, Animal Control Officers and Law Enforcement, Rescues and Shelters, Vendors | Tags: animal rights, leash laws, owner responsibility | Permalink.